Tree of Life. This sculpture commemorates the 5,000 victims of the Holocaust buried nearby. 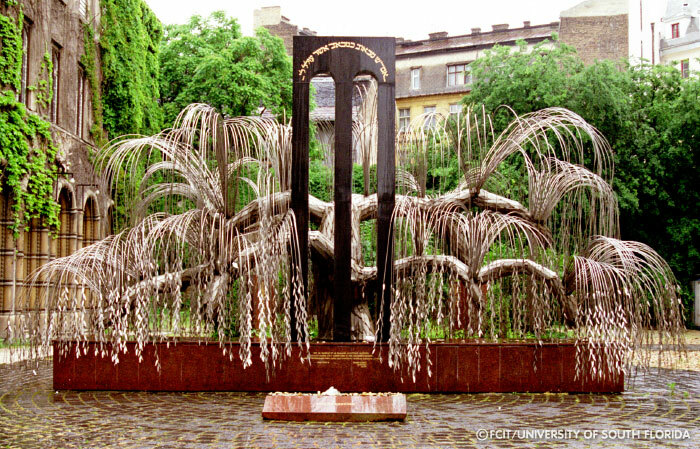 The willow tree is a traditional symbol of mourning. It is also said to represent an overturned menorah.